Third-year Will Ackermann competes at the meet. In just the second meet of the indoor season, the Chicago team fared quite well, with a first-place finish for the men and a second-place finish for the women. 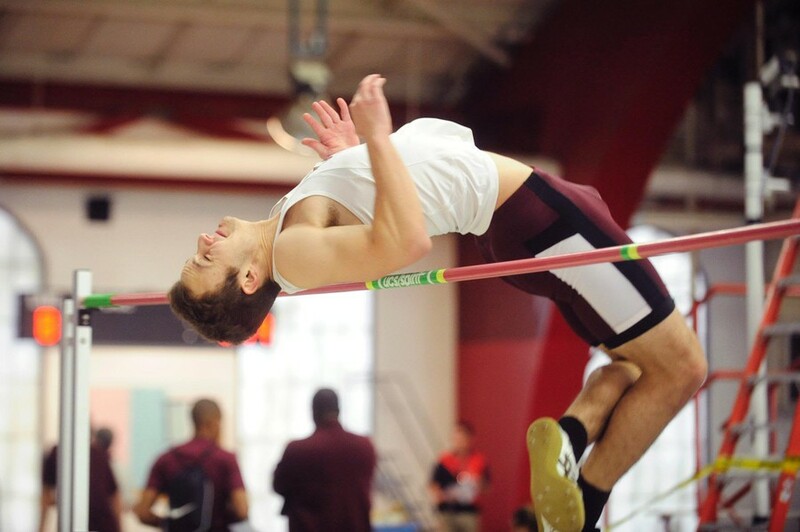 The Maroons competed at Illinois Wesleyan University’s I-55 Triangular on Saturday alongside host IWU and rival Wash U. On the men’s side, the South Siders finished on top by a close margin: 125.5 points to Wash U’s 121. The men saw seven individual victories throughout the day before taking the team tally. Fourth-year Temisan Osowa took first in the 60-meter and was nearly edged out in the 200-meter race by fellow Chicago third-year Connor Turkatte. The Maroons also saw victories from first-year Tyson Miller, who won the 400-meter (51.68) and participated in the 4x400-meter with third-year Obinnaya Wamuo, first-year Elliott Paintsil, and third-year Nathan Downey. On the field side of the event, fourth-year Andrew Maneval decisively took first in shot put with a throw of 14.54 meters, third-year Patrick LeFevre won the 60-meter hurdles (8.51), and fourth-year Nick Nielsen finished first in the 3000-meter race (8:41.04). Osowa further emphasized the difference in this team from past Chicago squads. “This was the first time that the men have ever won this tri-meet, a sign of our men's team improving and becoming well-rounded. We'll be looking to make lots of noise at conferences,” he said. On the women’s side, Chicago (105.1 points) was edged out by Wash U with 132 points. Though they weren’t able to secure a team win, they compiled four individual victories. Three of these victories came in long distance races: third-year Cassidy McPherson topped the 1200 meter (3:46.06) and classmate Kelsey Dunn won the one mile (5:23.11) while fellow third-year Khia Kurtenbach won the 3000-meter (9:58.46). The women also had a top scorer in the high jump at the hands of third-year Ade Ayoola with 1.65 meters. The next meet for the streaking South Siders is the Windy City Invitational, held at Henry Crown Field House this weekend.